University of Nigeria, Nsukka UNN School Fees Payment Slip Generating Guidelines. 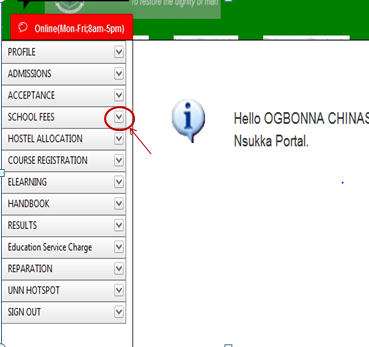 1.Type in the address bar on your browser the portal url (www.unnportal.edu.ng) as shown below. 2.Press the enter key on your keyboard, the following screen will appear. 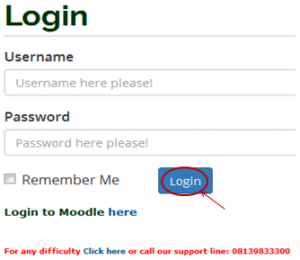 3.Type in your registration number as the username, type in your password, then press the enter key or click on the login button to see the screen below. 5. 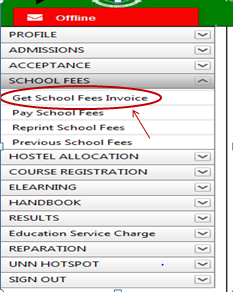 Click on “Get School Fees Invoice”. 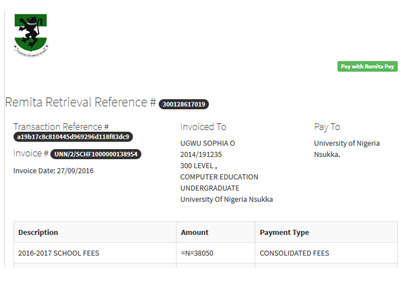 You will notice a dialog box, as shown in the screen below, (Read through this procedure carefully to understand the due process of paying your school fees). 6. 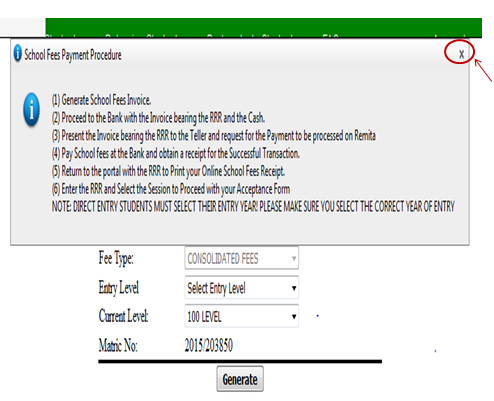 After reading the procedure, close the dialog box, by clicking on the “x” mark at the right hand side of the dialog box to enable you see the main screen, which appears as below. 7. 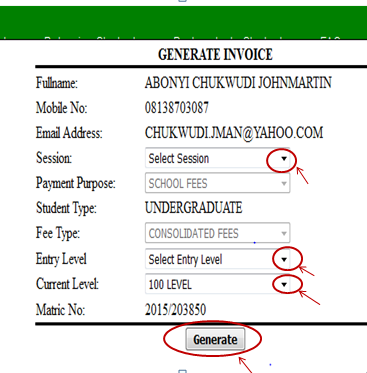 Click on the drop down key on “Select Session” to select the session of the invoice you want to generate. 8. 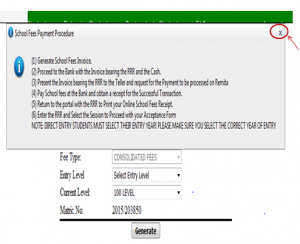 Click on the drop down key on “Select Entry Level” to select entry level. 9. Click on the drop down key on “Current Level” to select the level you are in. 10. Click on “Generate” button. The invoice will appear as shown below. 11. Print the Invoice, then follow the “school Fees Payment Procedure”, to pay your school fees in the bank.